A night out on the town shouldn't be a hassle. Getting there is 90% of the fun with Bayshore Limo. 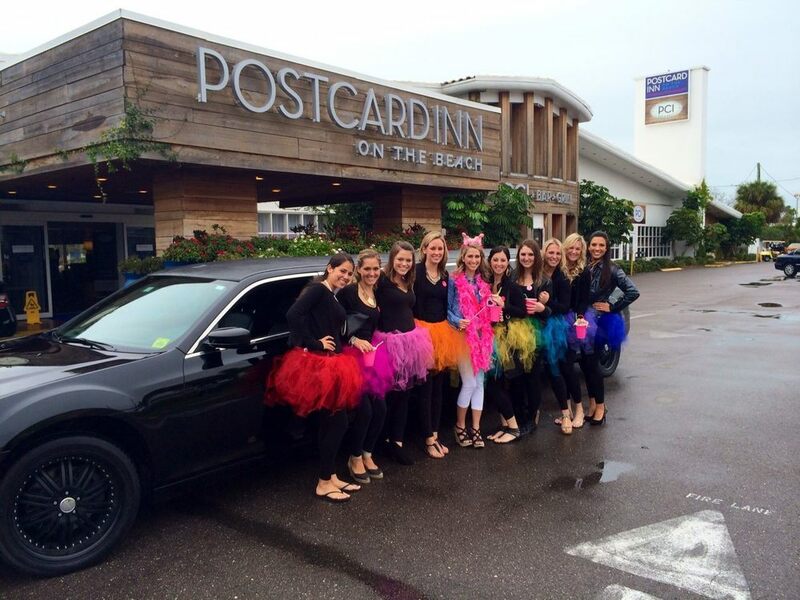 Our professional and friendly chauffeurs will even help set the mood for your wedding, bachelorette, bachelor, birthday, concert, or anniversary celebration. Visit as many locations as you like without having to worry about splitting up the party, traffic, directions, and the dangers of drinking and driving. Lucky you! You get to plan a bachelor party in Tampa, the bachelor party capital of the world. It does not matter what time of year you are planning your party, because in Tampa it is always summer time. Bayshore Limo can handle your entire party details, whether it be a fully day of events or a night on the town. Not to be overlooked: daytime and early evening activities. Start the day with sport fishing on beautiful Tampa Bay or the Gulf of Mexico. Take a pontoon boat ride up the scenic Hillsborough river for fishing and river bar hopping. Enjoy craft beer? Tampa, St. Petersburg, and Clearwater is home to nearly 30 breweries with more popping up every year. Visit as many as you want on our exclusive Tampa Brew Tours package. You can also take in a fantastic sporting event with limousine service to and from Raymond James Stadium, home of the Tampa Bay Buccaneers, Amalie Arena, home of the Tampa Bay Lightning, or Tropicana Field, home of the Tampa Bay Rays. Enjoy a thrilling paintball match at one of our many local fields and arenas. There is also miles of beach action loaded with excellent bars and restaurants in St. Petersburg and Clearwater. Be sure to load up on the sunscreen! Feel like taking a few laps around a racetrack in an exotic supercar? The Exotic Driving Experience is only a short one-hour ride away. Relax and enjoy a post-race toast during the trip home because you're riding in one of our chauffeured stretch limousines. Cap off an afternoon of awesomeness with a great meal at one of our local world-class restaurants in Tampa, St. Petersburg, and Clearwater. Can't remember anything? Neither can we, mum's the word at Bayshore Limo (as long as it's legal). See you at the wedding!